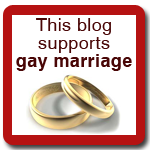 Cognitive Dissidence: Why Is This Man In Your Mailbox? Brookfield's Bob Reddin is the registered agent for a dark money corporation inexplicably called "Jobs First Coalition(JFC)"! Chances are if you are in a competitive district in Wisconsin, he has cluttered up your mailbox with filth. It is a group dedicated to electing Republicans in Wisconsin via really negative mailings. JFC has almost a million dollars on hand, and regularly gives to such extremist groups as Wisconsin Club For Growth and American Federation for Children(starting to see a theme?). devoted to making the creation and retention of family-supporting jobs the top priority of government and community leaders in Wisconsin. The problem they have is they forget to mention jobs in any of their negative misleading hateful ads. To be fair though, they did create some jobs(albeit legal) when a complaint was filed against them for their despicable attempts to derail Assemblyman Steve Doyle. JFC is at it again, this time smearing Attorney Dana Duncan in a last ditch desperate attempt to get the honey fibber re-elected! 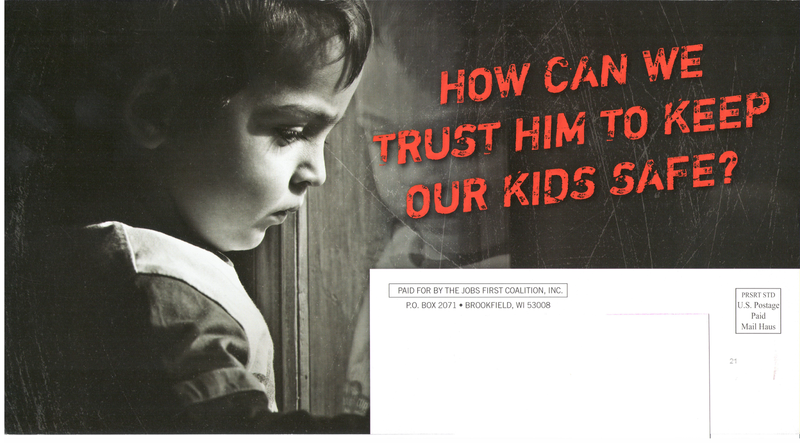 JFC coalition sent a mailer to Assembly District 72 that was beyond the pale. Charges against Smith came in May 2007, shortly after he was convicted of sexually assaulting two girls in 2006. Smith is serving a 14-year prison sentence after being convicted of those charges. the girls the emotional turmoil of trial, Kessler said. 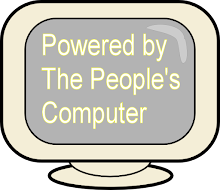 once in April 2006, not several times. Little was said about Smith outside of his childhood abuse and his criminal history, both of which were lengthy. sentence will be served in confinement, the last 10 in extended supervision. and overcome them to become a relevant member of society," said Duncan. While Bob Reddin is the current figurehead of JFC, it was originally founded by formerly convicted felon Scott Jensen. It was Jensen's first foray back into politics after leaving in total disgrace from the orginal caucus scandal. This explains where the fear mongering, lies and lack of ethics come into play. Also, Mr. Reddin is an Alderman in the city of Brookfield. Maybe it is time for his constituents to ask why he would take part in such a despicable, unethical shadow election ploy and ask him what else he is hiding!! 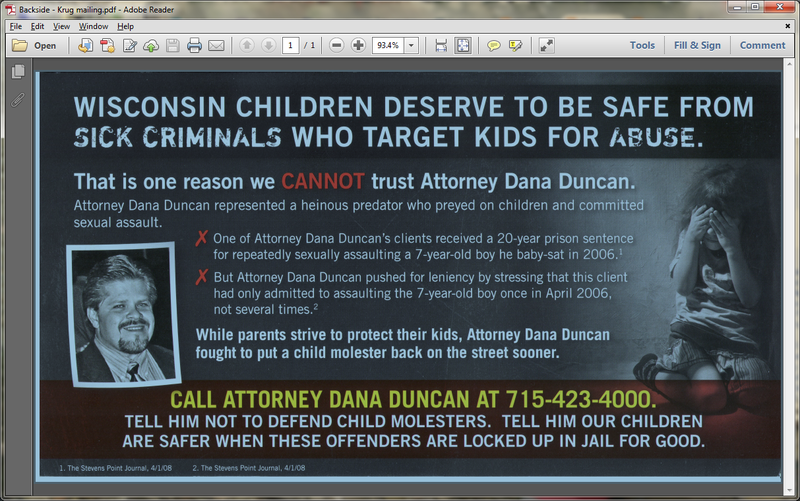 Also help Assembly District 72 have real representation for a change and elect Dana Duncan!